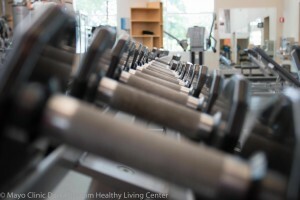 What’s the difference between free weights and the various weight machines? Which should I include in my workout? Why are there so many options to choose from? Will I get the same benefits using the machines as I would with the free weights? With so many routes to take, you may want to veer off of the strength training path. Before you lose hope, I encourage you to hop in my car pool and let me take you there! 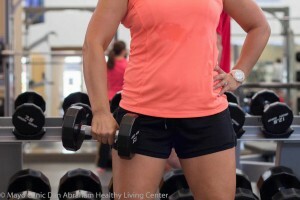 Before we begin our travels, let’s discuss how a basic strength-training program should look. It is highly encouraged to strength train 2-3 days per week on nonconsecutive days, to allow for recovery of the muscles...Recharge your car battery! Ideally, you want to shoot for 2-3 sets of 8-12 repetitions for each exercise. As I drop you off at your desired destination, take note that there are total body exercises that you will be able to perform for EACH type of equipment. First stop, the Linear Machines: this is the perfect place to begin your weightlifting journey. 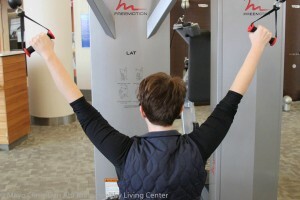 The fixed motions of these machines allow you to perform the correct movement in a safe range of motion. You will be able to find a piece of equipment to work each major muscle group. Put your car on cruise control here and teach yourself the proper technique. Pack these exercises and your proper body alignment in your suitcase and bring them with you to every other type of equipment. We’ll next cruise over to the Freemotion equipment. These movements look very similar to those on the linear equipment, however they will allow you to have more freedom in your range of motion. This requires more core stabilization because the machine isn’t providing stability for you. Since cable-based machines allow for looseness in form, it is important to unpack your proper body alignment from the linear equipment, and use it here. While we’re at it, lets stretch our legs and walk over to the Freemotions’ neighbor, the Cable Columns. Freemotion equipment and Cable Columns both operate via a cable pulley system. Cable Columns differ in that there is no predetermined exercise for you at the column. 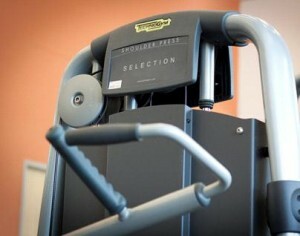 You must first set the machine up by adding different attachments and adjusting pulley height. These movements can look very similar to the linear and Freemotion exercises. If you are in search of more cable column exercises, it may be beneficial for you to participate in a cable class. Last, but certainly not least, I’ll pull over by the Free Weights. Free Weight exercises range from multiple movements using dumbbells, to squats in the rack, to bench press. Free Weights will require you to have more of a workout plan as well as knowledge on proper technique. This type of training usually requires more experience and spatial awareness as well; however the gains in strength and balance are superior to both linear and cable-based strength training. It’s important to note that each pit stop along the way brings its own challenges. If you find that your proper body alignment is starting to wander, put the car in reverse and head back to the basics. Safety is EVERYTHING. It would be beneficial for you to utilize the equipment that you feel most comfortable on. Your muscles will be worked, no matter what your strength equipment choice may be. It may even be a great idea to utilize 2 types of equipment for one workout; Maybe begin by using the linear leg press, then head downstairs to the free weights for some upper body work. If you have not yet arrived at your strength-training destination, search for more guidance through a Strength Basics offering.